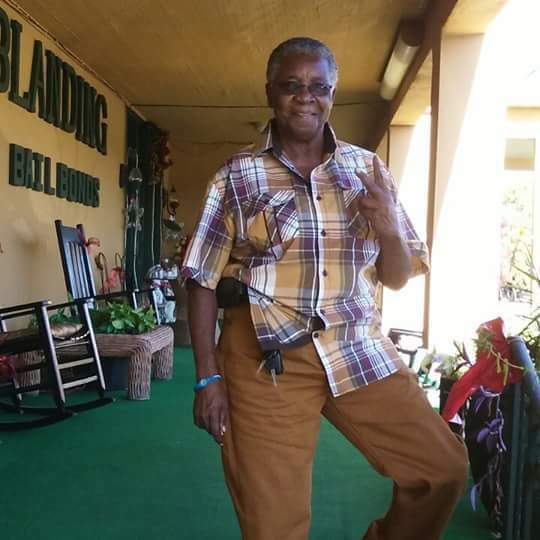 A homegoing celebration for Ms. Alberta “Burt” Brown of Tampa, Florida who passed away on Sunday, October 21, 2018 will be held Saturday, October 27th, 2:00 p.m. at Aikens Funeral Home, 2708 E. Dr. Martin Luther King Jr. Blvd. with a local minister officiating. The interment will be in Rest Haven Memorial Park Cemetery. Ms. Alberta “Burt” Brown was a native of Greenville, Mississippi and a resident of Tampa, Florida for 56 years. She attended schools in Greenville, Mississippi and moved to Tampa and began employment as a security guard until retirement. Preceding Burt in her death were her parents, Bernice Smith and Joseph Brown; sisters, Rena Mae Smith and Dorothy Lee Smith; brother, Joseph Brown. She leaves to cherish fond memories of her a beloved son, Eddie “Eddie-Boo” Atkins and daughter-in-law, Shantrell Mayo; grand-daughters, Jasmine Montgomery, Liberty Atkins, Justice Atkins, Lequeshia Montgomery, and Edderia Atkins; grandsons, Freedom Atkins and J’Lyn Atkins; great-grand-daughter, Jamelia Caldwell; siblings, brother, Henry Brown (Marcella) of Greenville, Mississippi; nieces and nephews, Tammy Lloyd (Tony) of Greenville, Mississippi, Tywanda Brown of Houston, Texas, Luereatha Edward of Greenville, Mississippi, Delois Williams of Hayti, Missouri, Gennett Brown of Greenville, Mississippi, Lillie Brown of Michigan. Nephews Joseph Robinson of Greenville, Mississippi, Antonia Edward of Greenville, Mississippi, Printess Brown (Trina) of Ledo Ohio, Henry Williams of Jackson, Tennessee, J.B. Sanders of New Orleans, Louisiana, Will Sanders of Hayti Missouri, Johnny Lee Sanders of Florida, Frank Sanders of Florida, and Jimmy Sanders of Florida; and a host of great nieces and nephews; godson, Aaron Ashley; long-time friends; Rosie Lee, Victoria Hopps, Jerrell Lee, Chris Lee, Joe Lee, David Lee, Tari Hopps, Tremayne Hopps, Vincent Hopps Jr., Shantae Hopps, Vintoria “Smook” Hopps, and Vinquandria “Pretty” Hopps and Pee-Wee; a host of other relatives and friends. The visitation will be held at Aikens Funeral Home on Friday, October 26th from 5:00 to 7:00 p.m. The family will receive friends from 5:00 to 7:00 p.m. The family and friends are asked to meet at the chapel on Saturday for the service.